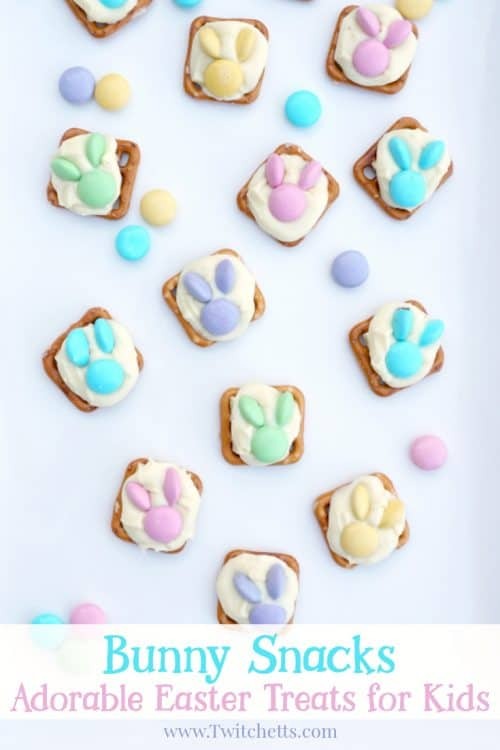 These bunny snacks are perfect Easter treats! They are quick to make with your kids and the perfect combo of sweet and salty!! We absolutely love the idea of cooking with kids. 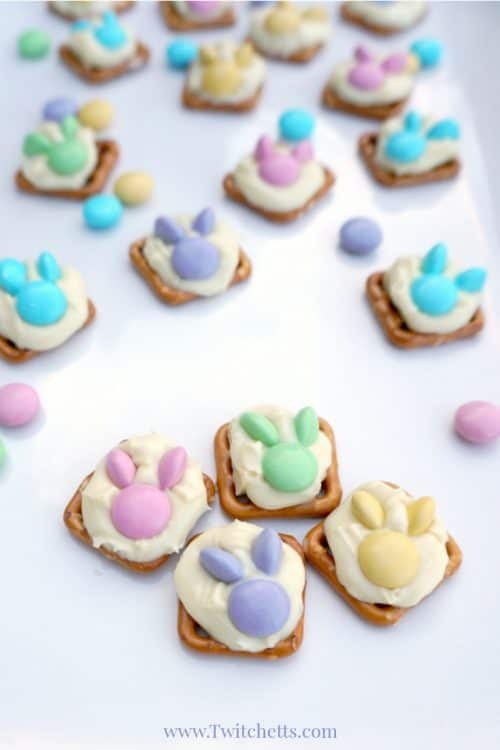 These fun little bunny snacks are perfect for kids to assemble. Inspired by those adorable little pastel flower treats that were everywhere online last year. These bunnies are a nice and easy recipe. Pair these bunny treats with our adorable pretzel treats and you have the perfect plate for to any Easter dessert table. 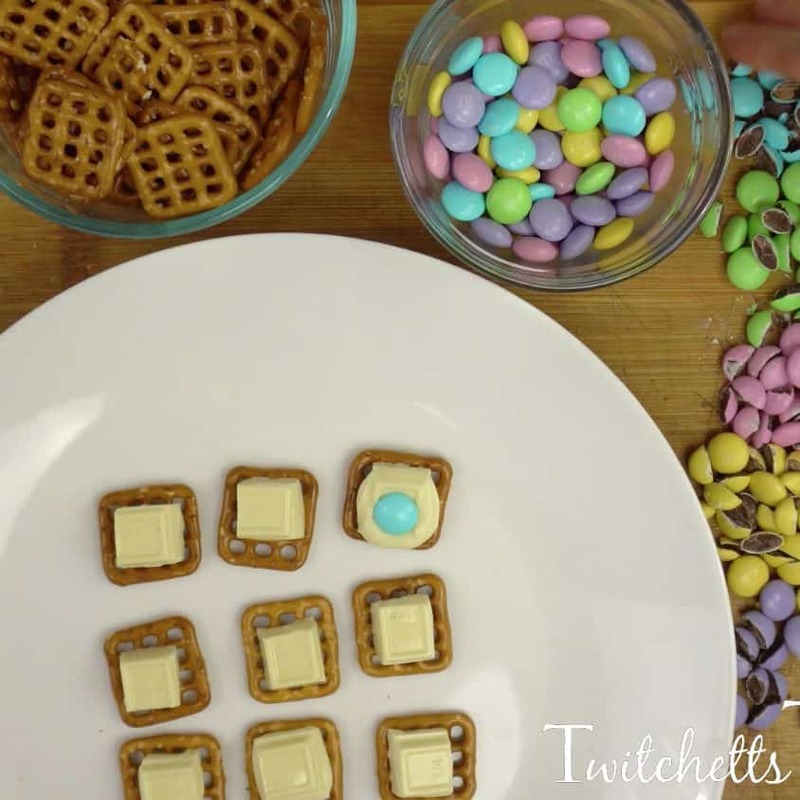 While these Easter treats are super easy for kids to make, please note that adult supervision is required. Planning ahead? 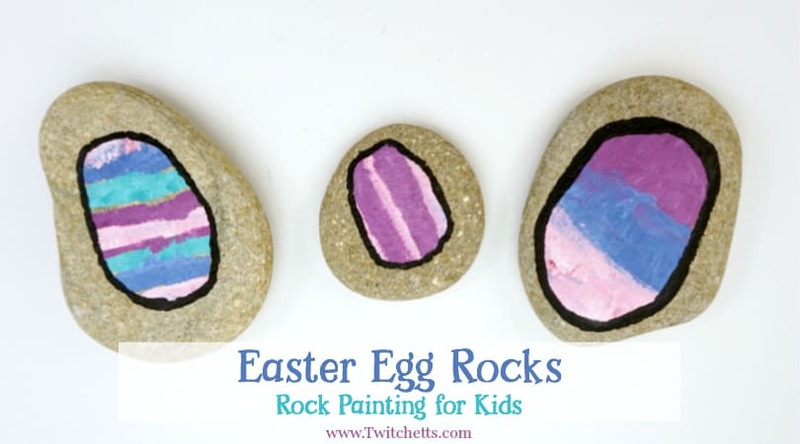 Pin this easy Easter treat for later! Don’t have all of the ingredients you need? Don’t worry! Just pin this to your Easter or Desserts board and you’ll be all set. You’ll need to have an adult to cut the candies in half. Start with a simple sawing motion and then press straight down. When cutting your candies some candy coating might fall off… we will just call those quality control bunny snacks… wink. I created a work station with bowls of whole and cut up candies. It worked perfectly for my two children. 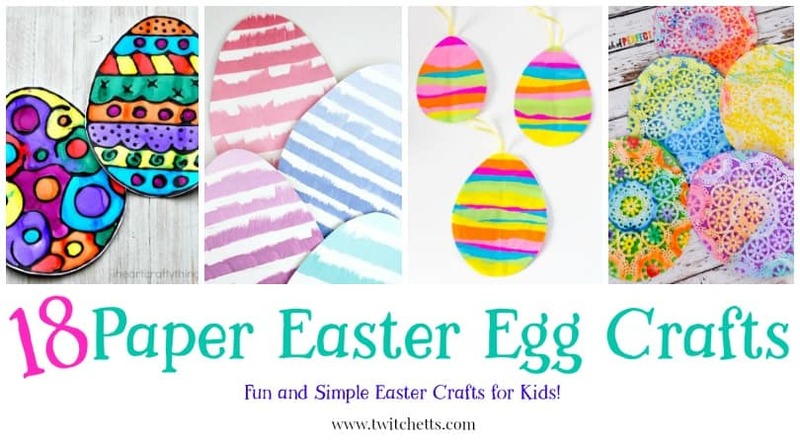 I’m sure it will be a great way to have a classroom assemble them or have kids make them at an Easter party. 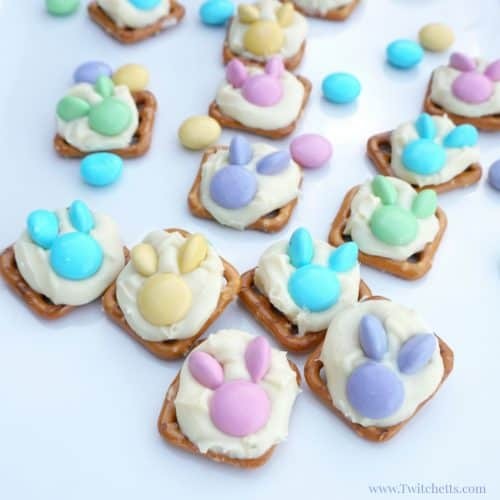 How do I make these Easter bunny pretzel treats? Below is our written tutorial for creating fun bunny snacks. 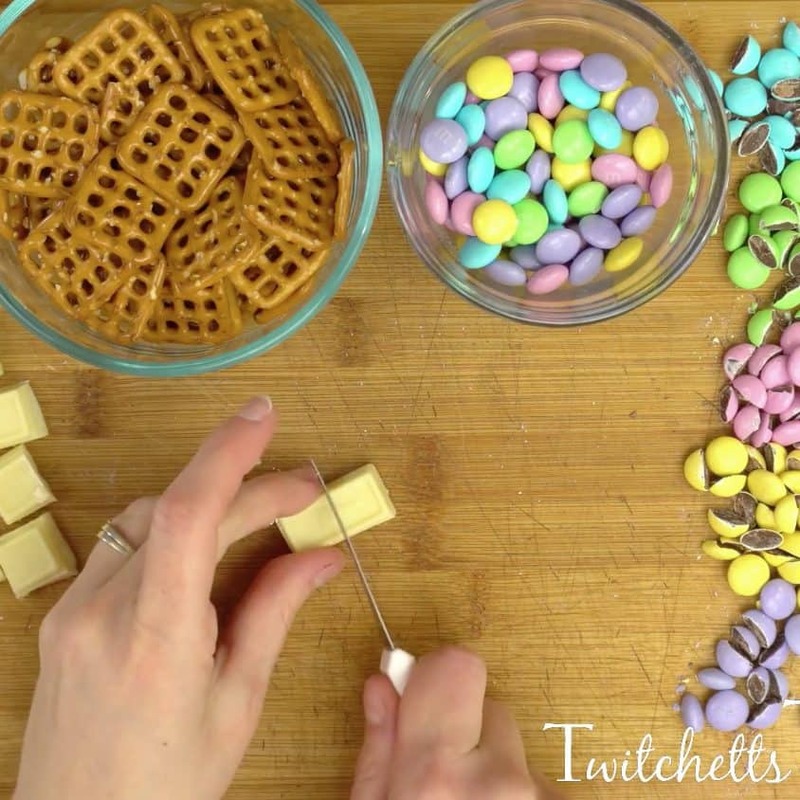 If you’re more of a video person, here is our step by step Easter dessert video tutorial. 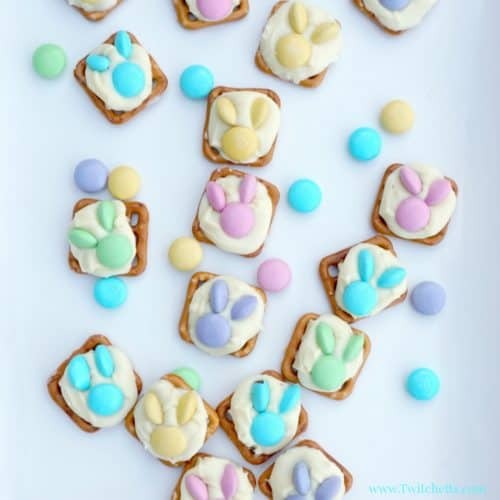 These Easter bunny snacks are fun for kids and adults to make! Plus a sweet Easter treat is perfect for an Easter dessert table at your holiday party or carnival. White Melting Chocolate. The bars or the dots. 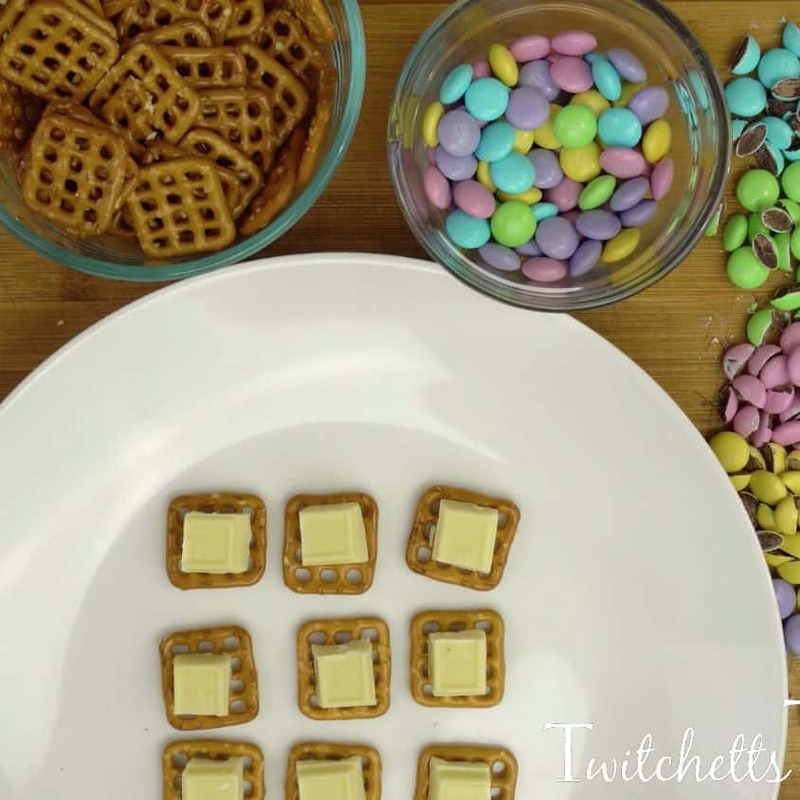 Start by prepping your white melting chocolate by cutting it into squares that fit on your pretzels. You will also need to cut some of your candies in half. Using a sharp knife saw back and forth a few times and then press straight down. Place your pretzels on a microwave-safe plate and add a piece of chocolate on each. Heat them in the microwave. Times may be different based on the style of chocolate you buy. Start at 30 seconds and work your way up. You want your chocolate soft to the touch, but not melted all over your plate. 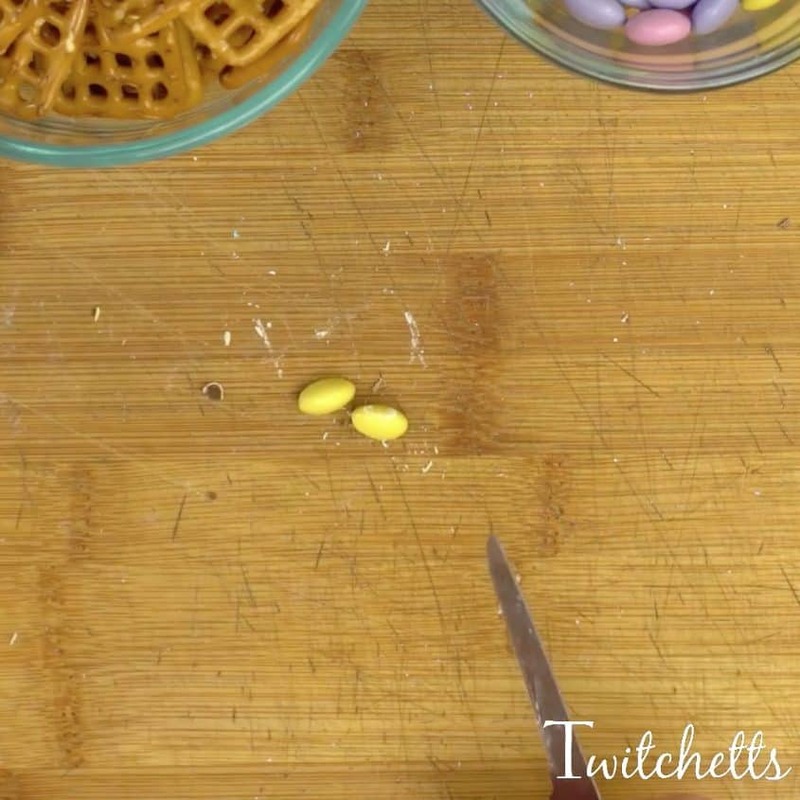 Place a full circle candy on your chocolate and lightly press down. Then, using your halved candies, add a couple bunny ears! Once the chocolate has set they are ready to enjoy! You can place them in the fridge to speed up this process. 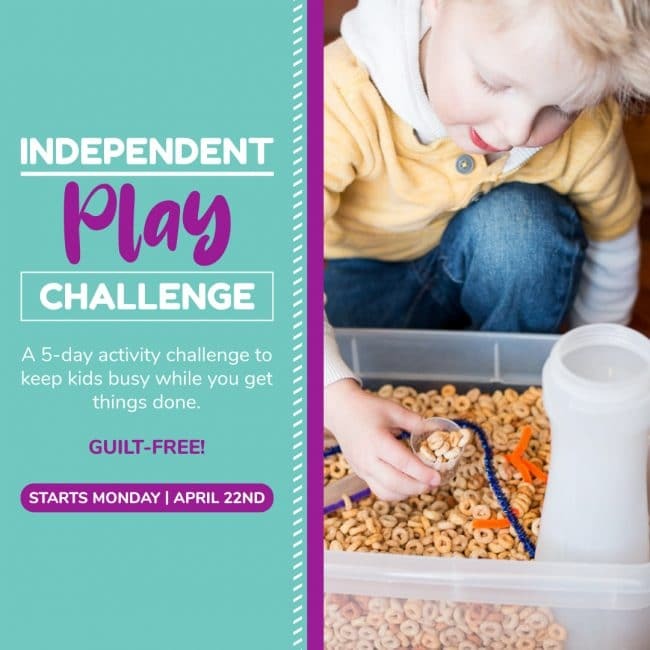 Are you trying to inspire creativity in your kids? Sign up for the weekly Twitchetts newsletter to get that and more. 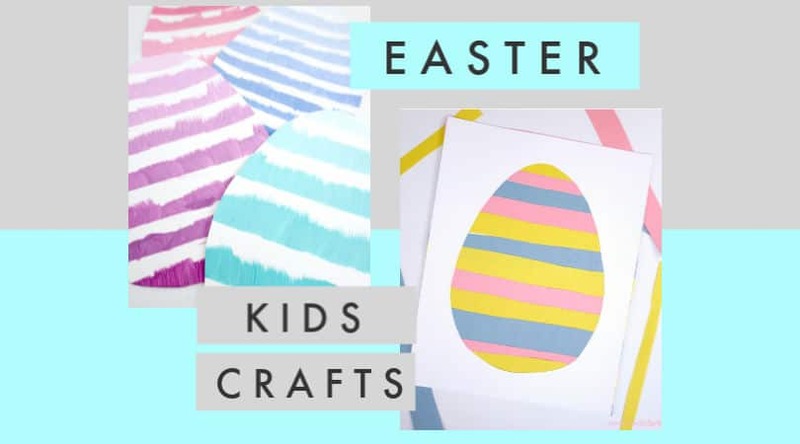 Get access to free printables, special offers, and weekly crafts and activities that kids will love! More Easter Recipes might like! Easter Cookie Truffles – Since these truffles include my favorite kind of cookie, you know they are a must for my Easter dessert table. 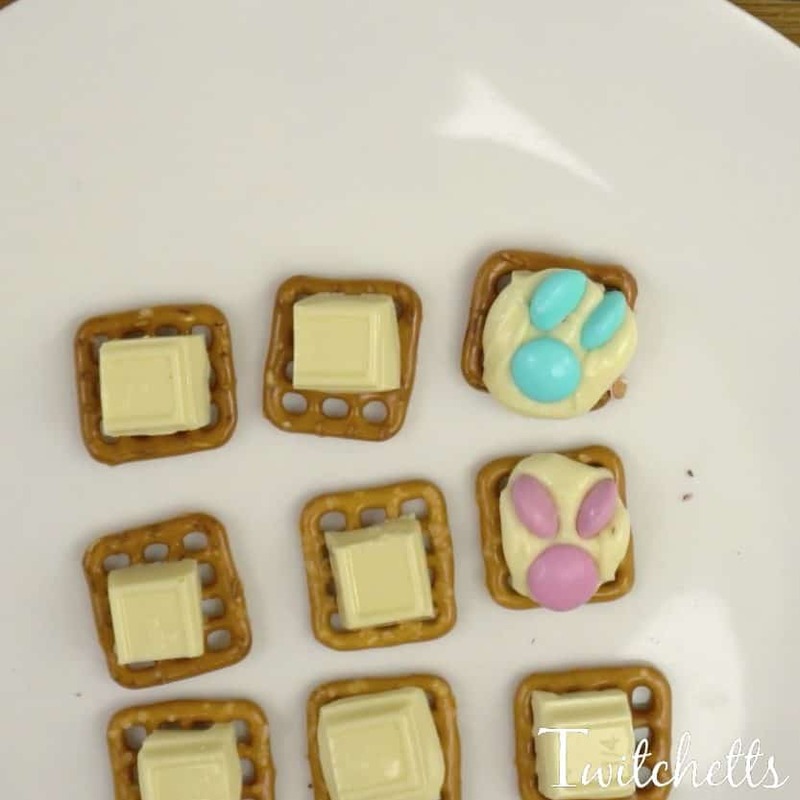 Easter pretzel treats with Rolos – Save some of your leftover pretzels for this super easy and delicious Easter treat. 2 Ingredient Cheesecake Dip – Every time I bring this easy recipe to a party, I get loads of compliments. And it only takes 2 ingredients!! Cheesecake Bites – Since strawberries are in season, it’s the perfect time to make these delicious, and super easy, cheesecake bites. Please save this easy recipe to your favorite Pinterest board! Did you know that every time you share from our site, it helps us grow? We sincerely appreciate every share. Please share it on Facebook or save it to your favorite desserts board on Pinterest. 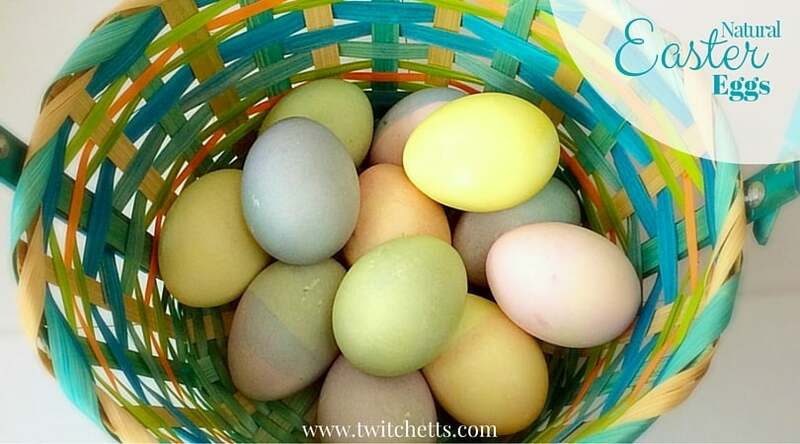 If you love this Easter sweet treat, you’ll love these!